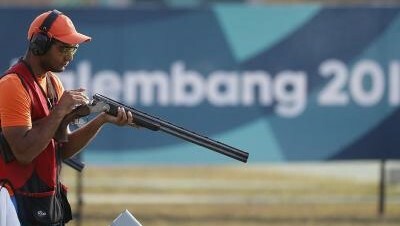 Indian youngster Lakshay Sheoran won silver in the men's trap event in 18th edition of the Asian Games 2018. 19 year old Lakshay Sheoran shot a total of 39 in final to finish second on podium at the JSC - Shooting Range. Chinese Taipei Kunpi Yang won the gold medal while equalling the Games record with 48, while Korea's Daemyeong Ahn bagged bronze after scoring 30. The other Indian in the event, Manavjit Singh Sandhu finished fourth in the final.